News from Berlin. 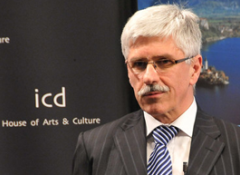 Ambassador Mitja Drobnic was born on 18 March 1951. He graduated from the University of Ljubljana with a degree in Economics. Speaking four languages; Slovenian, English, German and French he served as Yugoslavian Consul in Dortmund from 1978 to 1982 and in Mannheim from 1986 to1990. 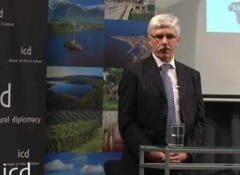 1991 saw Ambassador Mitja Drobnic become Section Head for Europe and North America at the Slovenian Foreign Ministry. In 2002, he was appointed Ambassador to Egypt, Jordan, Qatar, Saudi Arabia, and the United Arab Emirates. In his time in Egypt he was dedicated to improving Slovenian-Egyptian relations and in his four years in the position managed to increase economic cooperation significantly with a US$12 million increase in trade between the two states. 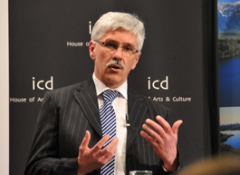 Ambassador Mitja Drobnic was a guest speaker at the Institute of Cultural Diplomacy in Berlin during the Berlin International Economics Congress in March 2011.